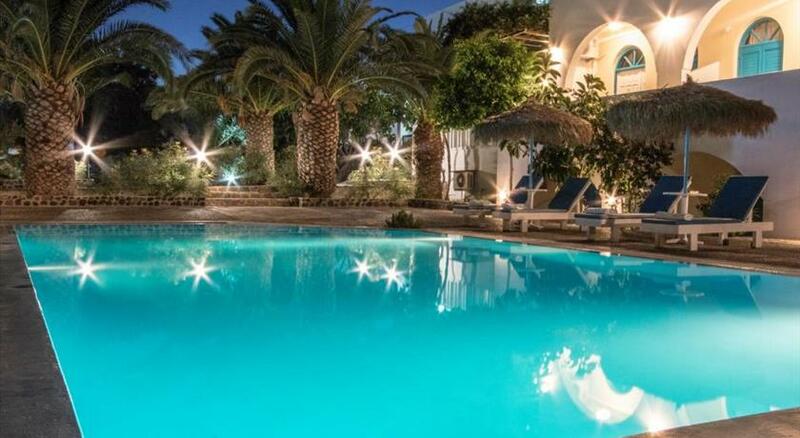 Just 100 metres from the black sandy beach of Perissa , Villa Markos has a swimming pool with sun terrace and a poolside snack bar. It offers studios and apartments with kitchenette and a private balcony. Markos studios and apartments are air conditioned and enjoy views of the pool or the mountain. All units are also fitted with a TV and safety box, and have an en-suite bathroom with shower. Guests can sit at the wooden tables under the palm trees and enjoy refreshing drinks, coffees, juices and light meals. In the morning, continental breakfast is served at the swimming pool area. A restaurant with traditional Greek dishes prepares packed lunches. The archaeological site of Akrotiri is 8 km away and the port of Athinios is at 10 km. Villa Markos offers free WIFi in its public areas and free parking is possible nearby. All children are welcome. All children under 12 years are charged EUR 5 per night for extra beds. All further older children or adults are charged EUR 10 per night for extra beds. The maximum number of extra beds in a room is 1. 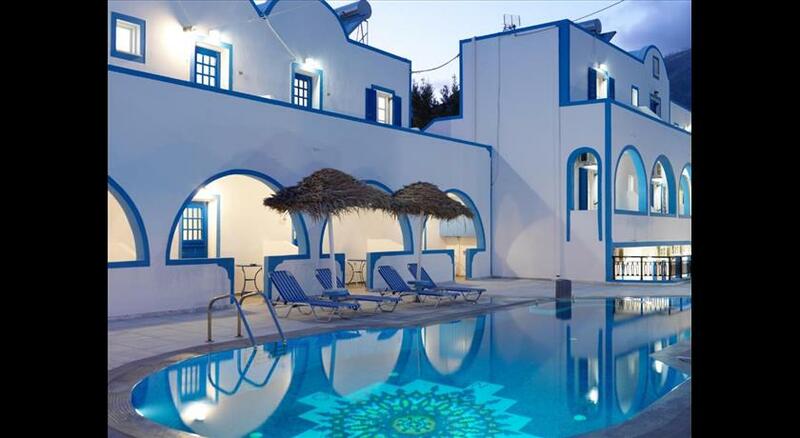 Villa Markos offers a free port/airport transfer upon check-out for a minimum of 5 nights. You can contact the hotel in advance to make arrangements. Please note that the restaurant will remain open until 30/09.